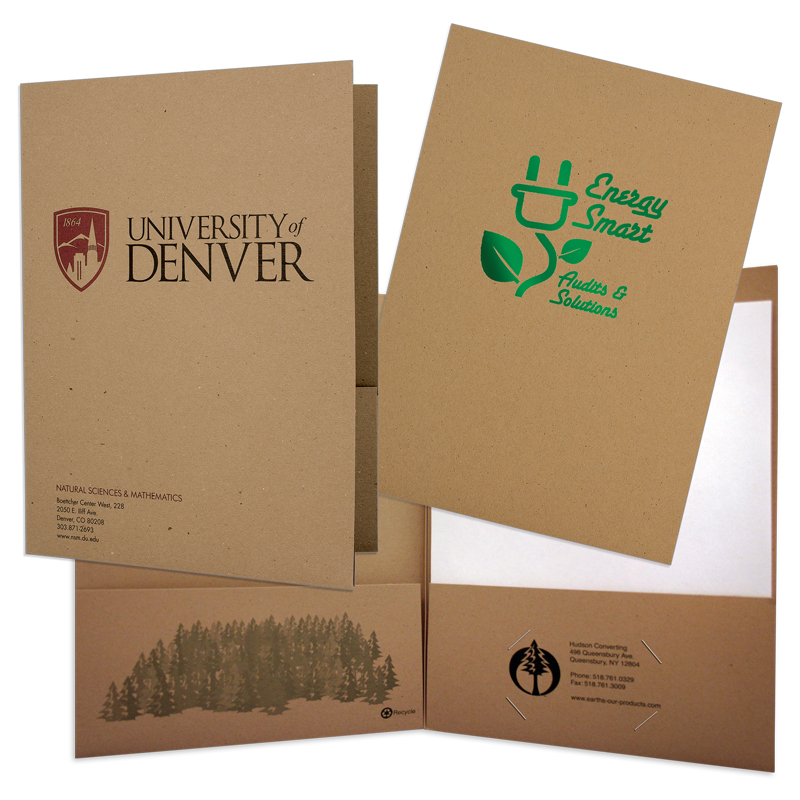 Eco Brown Kraft Chipboard: Because it's made from 100% UNBLEACHED post consumer recycled fiber, it is natural for this stock to vary in color and show visible recycling fleck. Ink Colors: Choose ink color(s) darker than the stock color. Popular PMS colors are: PMS 343 Green, PMS 349 Green and PMS 4625 Brown. White opaque is a great accent color. Remember to avoid heavy coverage. Favorite colors on this stock include, Pine, Lime, Copper, Gold and Black.